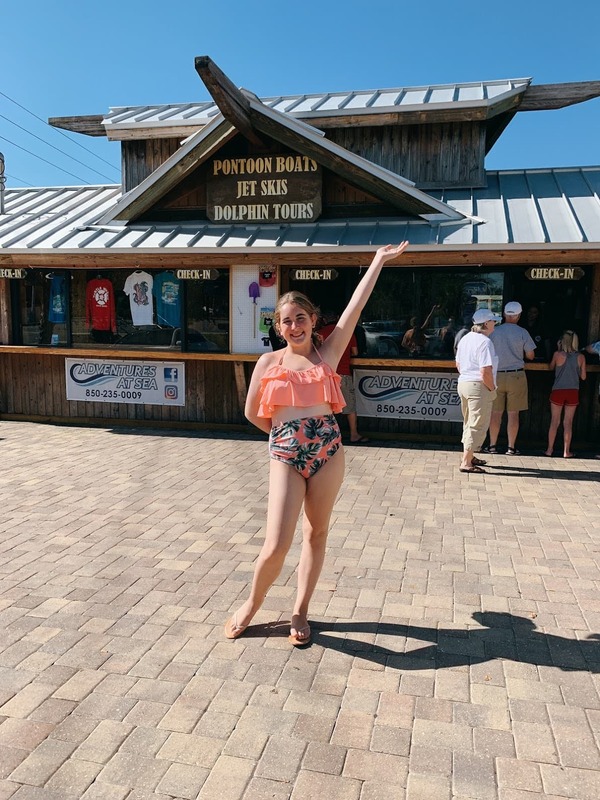 Several months ago, I visited Panama City Beach and had the chance to take my daughter on an Adventures At Sea Jet Skis tour. It was so much fun! Because she was a young teenager, she wasn’t allowed to drive one of the jetskis on her own. So, I had to take full control while on the water. 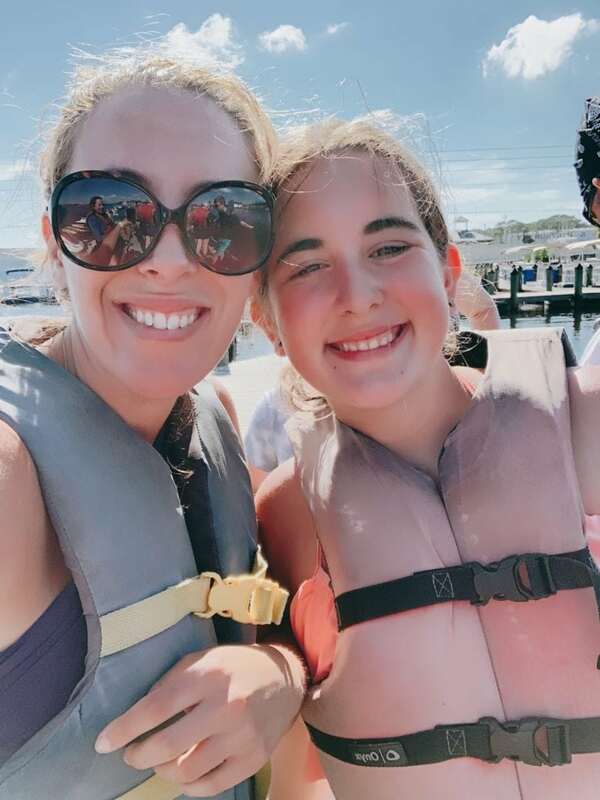 It resulted in a mother-daughter travel experience we will never forget. If you are heading down to Panama City Beach, Florida, you need to put Adventures At Sea on your list because we had an absolute blast. This would also be a great idea for a girlfriend’s getaway! 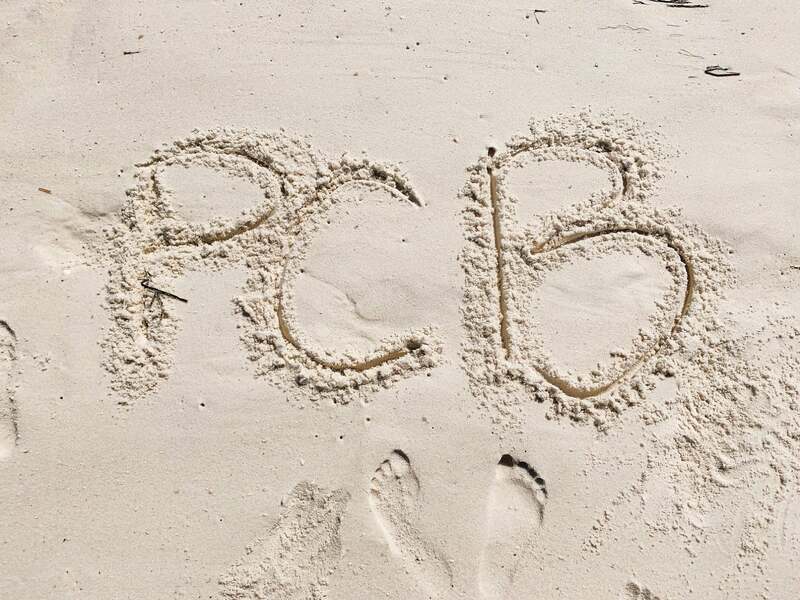 Panama City Beach invited me to visit as part of a press tour. All thoughts and opinions are my own. 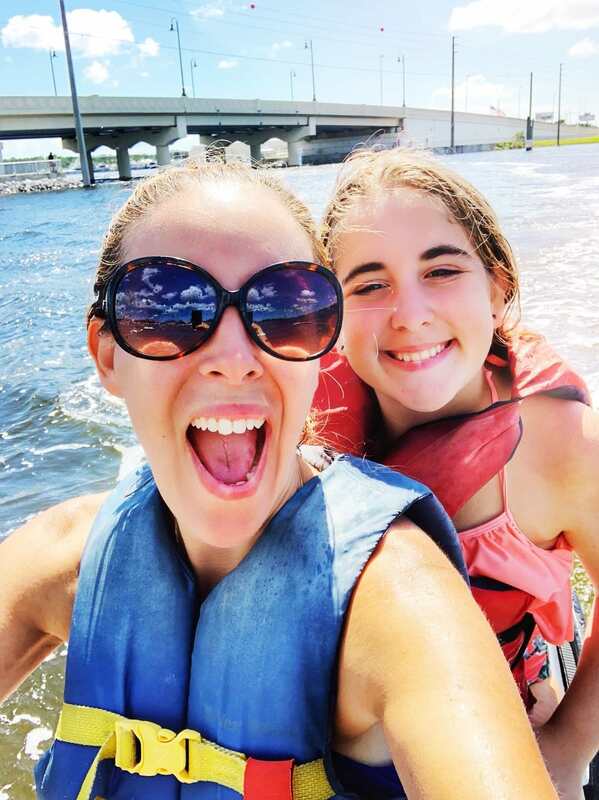 Ok, truth be told, I wasn’t supposed to have my phone out on the water, but I’m a blogger and I couldn’t help it. I snapped this shot right before we came back in after riding the open waves for almost two hours. It was quite an adventure. 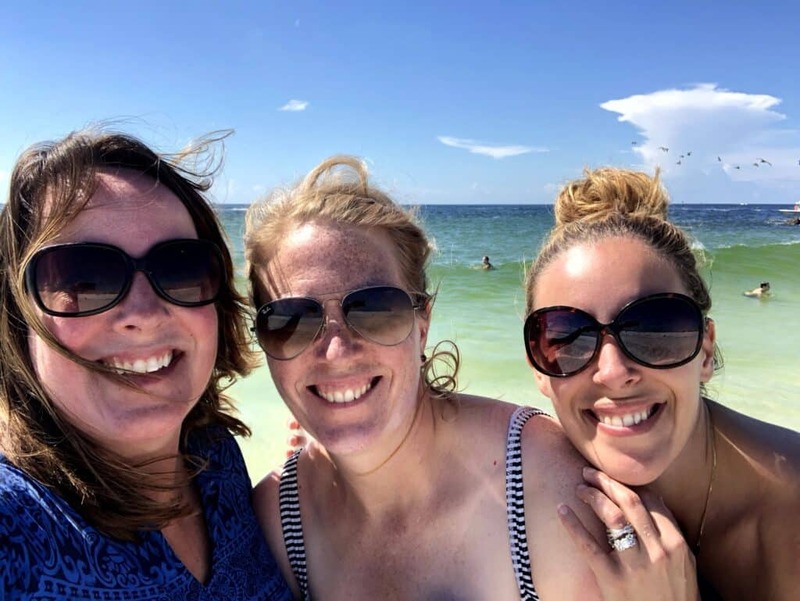 I want to give you the FULL SCOOP because I was nervous as all HECK before I got out with my group and I think it’s because it was my very first time outside of those 5 minute runs you do next to your hotels for a small fee. The Adventures At Sea tour is not like that. This is a full-blown tour. You are away from the dock. 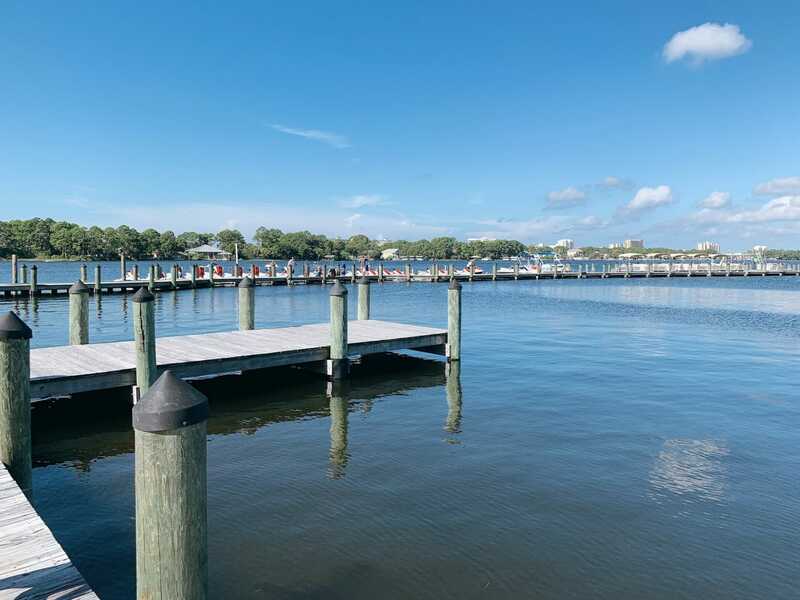 You are HOURS away from the dock. So, once you acknowledge that you are doing it, recognize that it won’t be so easy to turn around and head home. The Adventures At Sea tour takes you places, people! It’s totally AMAZING! But their tour is NOTHING like general tourists are used to. And what I mean is, your friends will not be able to take pictures of you if they stand on the dock because you will be GONE in a matter of minutes. When I told the tour group that I was a newbie, they really took their time explaining the basics. They helped us secure our vests, our belongings, and made sure we put enough sunscreen on because Florida sun is no JOKE. 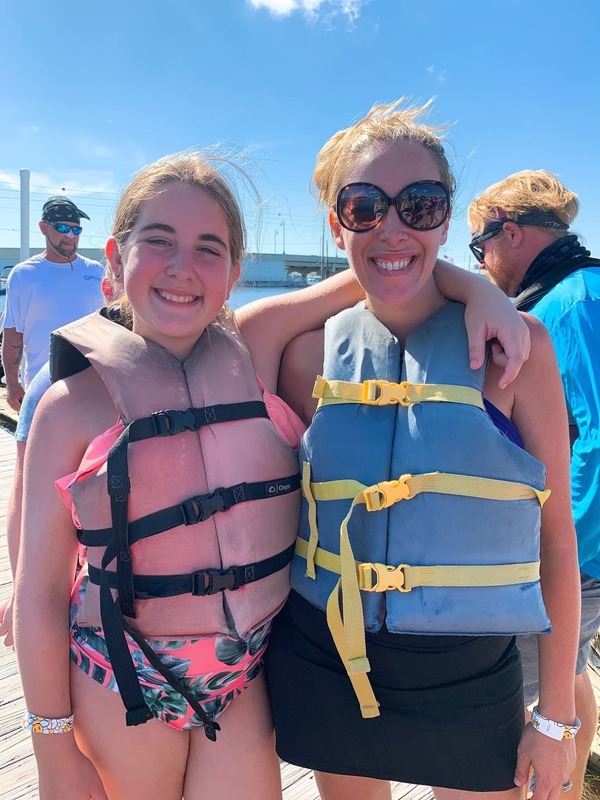 Their number one rule was safety and I absolutely respected that – especially since I had my daughter with me on the trip to Panama City Beach. However, their number two rule was they were a FAST TOUR. So, they wanted to be sure that the people who wanted to go faster remained in the FRONT of the line. Naturally, since I was “young and hip and a gamer”, I was going to be one of those people. As we exited out of the dock, I made sure to secure one of the first spots in our line. Well…. That was a flipping mistake. I had no idea how I would feel on the water. The jetski – at FULL capacity – was just too much for me to handle on my own. I started to freak OUT and couldn’t slow down. I literally couldn’t stop. I also couldn’t continue. My brain didn’t know what to do. My mind was racing because I didn’t know how far out the last person was behind me. Thank goodness the Adventures by Sea people expect things like this to happen and ensure enough of a gap between each of their riders. I had more than enough buffer to make any sort of “mistakes” on the water. There came a point where I just had to spin out from fear because I couldn’t let go of the gas. The very first rule they teach you is to just let go of the gas, but in that given moment of time, my body was unable to cooperate. I spun several times and then eventually was able to release. Thankfully, my daughter and I were fine. The group was nowhere near me and the instructors came to see how I was in a matter of seconds. Once the team arrived, I told them that I didn’t want to be in the front anymore and then it was all smooth sailing from there. I put that crazy expectation on me. Not them! I stayed somewhere in the middle. I kept it at a fair pace where I felt like I was in control and we ended up having a ton of fun. There were plenty of mothers who were going super slow and practically walking on the water. So, there were speeds at every level. The full speeders, the middle grounders, and the walkers. 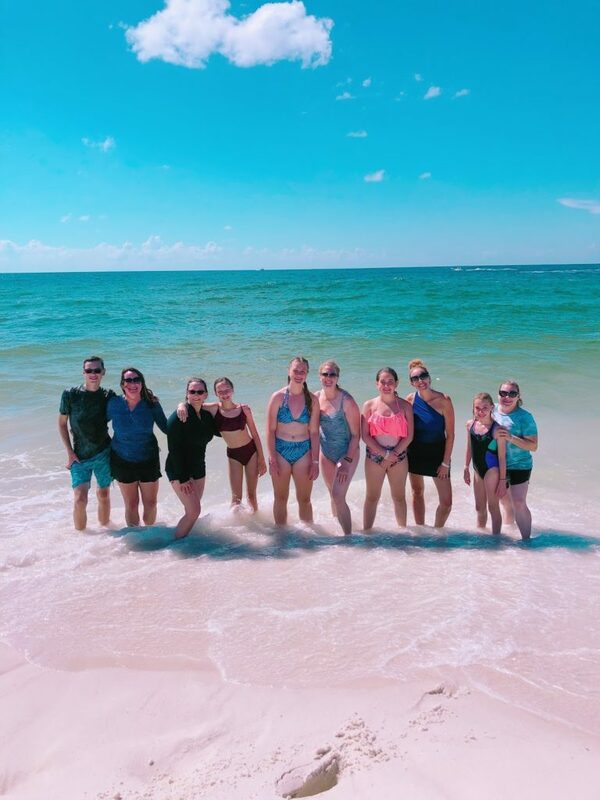 Adventures At Sea in Panama City Beach works with everyone and I am so thankful for that! All I remember from the day is Natalie laughing in my ear. She was screaming and giggling and hooting and hollering. My daughter was truly having the time of her life. I don’t think she ever thought the two of us would do something like this together. A great vacation idea for families. If you ever make your way down to Panama City Beach, make sure you look these people up! 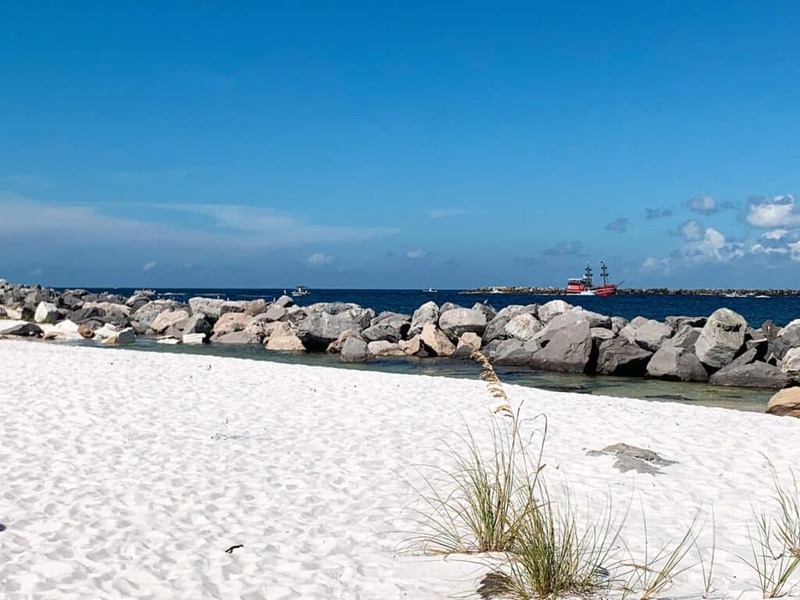 About halfway through the tour, Adventures at Sea took us to a beach on Shell Island that was absolutely exclusive. The only way you could get to this plot of land was if you had a jetski or a boat! It was fantastic. 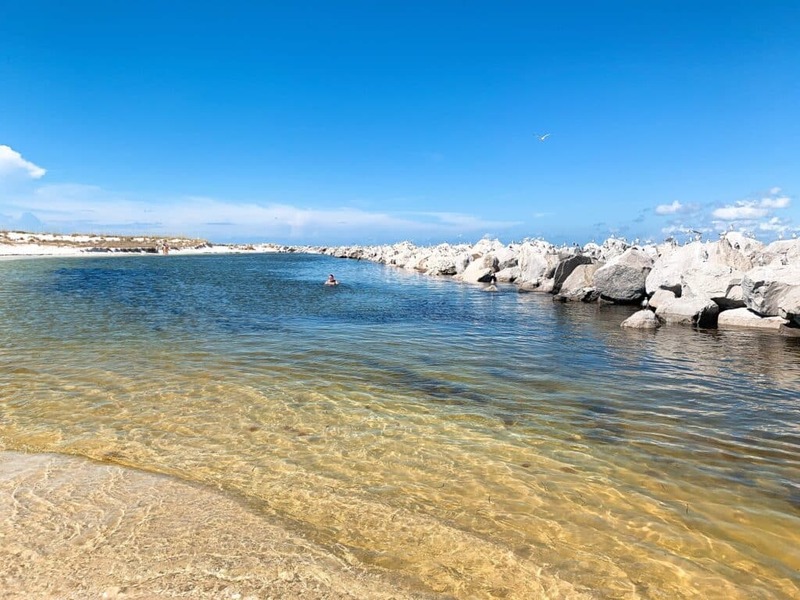 People were fishing, snorkeling, sunbathing on Shell Island – I loved it! We spent some time there just soaking in the sun. I mean – how absolutely serene! Adventures At Sea is worth it just for this moment in my personal opinion. YES, the adventure and the rush of the moments on the jet ski were incredible, but this beach on Shell Island was one in a million. It looked like it was almost from out of a movie. Guys, this picture is from my iPhone and there is no filter on it. I just uploaded it straight from my hard drive. That’s how perfect it is. I could sell this photo as a postcard, right? 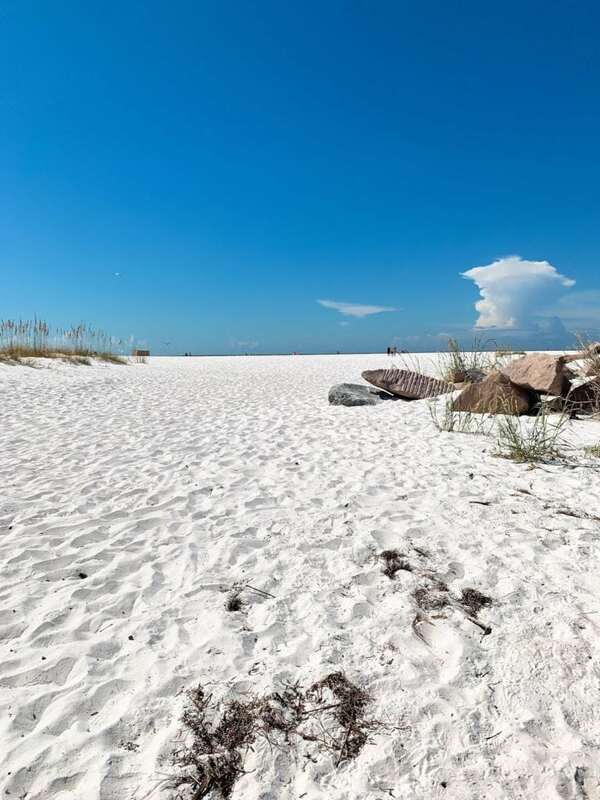 As Natalie and I walked the quartz sand on Shell Island, I wished for the rest of my family. This is a place I absolutely want to return to, but with my entire crew. Panama City Beach is on my list for a return visit FOR SURE! Fun fact about quartz sand – it makes a squish sound when you walk!! It’s the strangest thing!! If you stand on the sand and rub your feet, it squeaks. The cutest thing ever. The kids were cracking up as we were walking around Shell Island. The moms were talking about how beautiful it all was and the kids were hysterically laughing and making meme jokes. 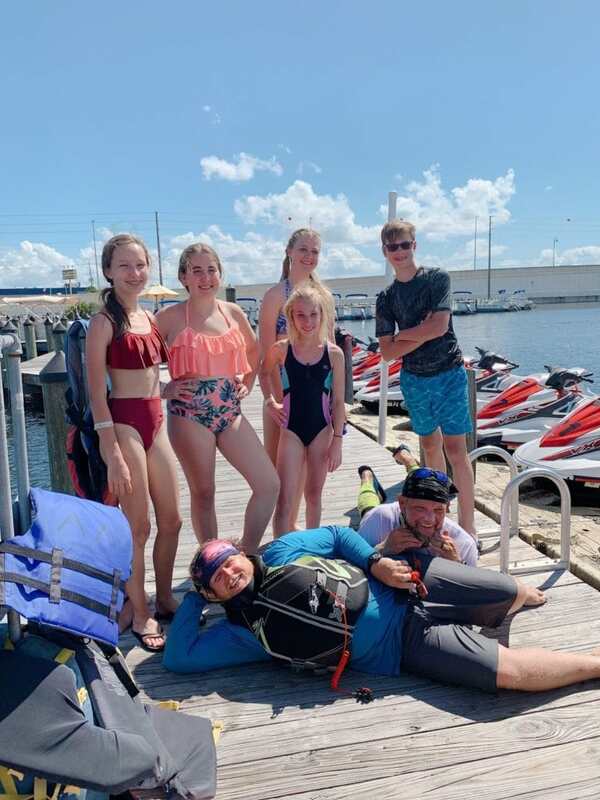 Because we all came over on our jet skis, we didn’t have much with us. No beach towels or food. 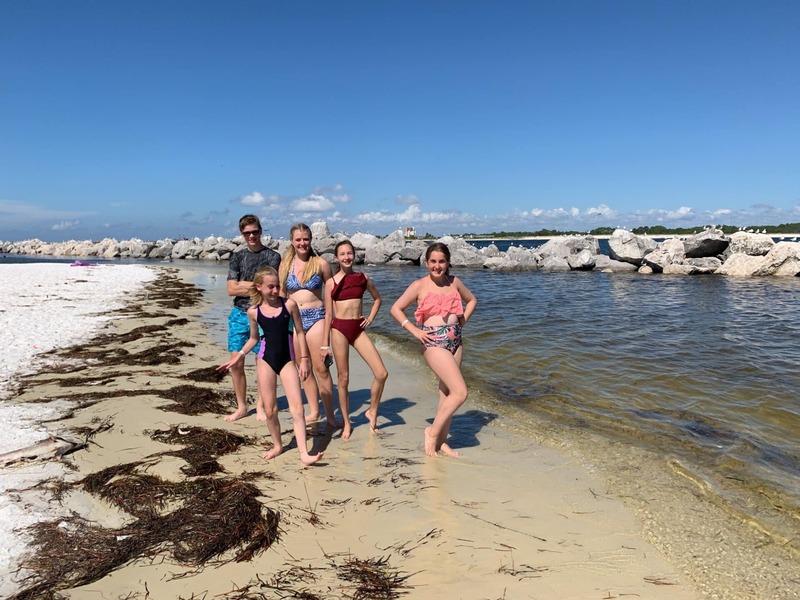 So, the group just walked around Shell Island, took a quick dip in the ocean, and then enjoyed some of the wildlife. What a perfect afternoon. I know most people think of Disney when they think of Florida, but you should really consider Panama City Beach as an option as well! Two totally different vibes and believe me, I love them both. I have to say that the good people at Adventures At Sea were a ton of fun. Lots of laughs and a true love for what they do. You need that when you are doing something that makes you nervous. I was nervous as I mentioned in the opening paragraph. I didn’t start out with a big bang, but these guys built my confidence up and got me through. The drive back to the dock was much more relaxing. I really enjoyed the ride. Wind in my hair. Fun in the sun! I’m ready to return. In the end, they gave me a wonderful day filled with lasting memories. My daughter and I will never forget it! 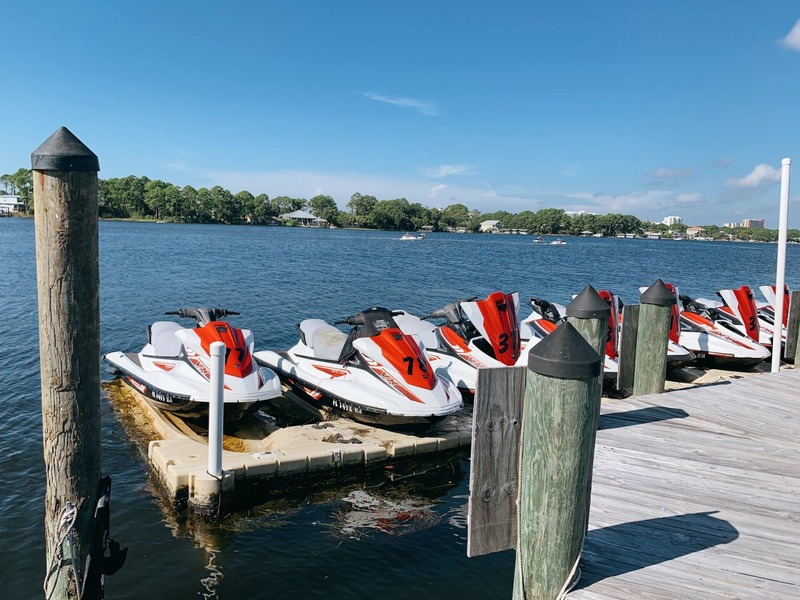 For more information about Adventures At Sea Jet Skis Tour, be sure to visit their website. I would love to travel like that once the kids are a little older. It would be such an amazing experience! This is so cool!